"I love hiding edible treasures inside baked goods," says Megan from Pip & Ebby. "The obvious perk is consuming said treats, but I also love seeing others’ reactions upon biting into something unexpected." And we love the way she thinks. These rich fudgy crinkle cookies have the added bonus of a burst of caramel inside -- making them sweet, delicious and very hard to resist. Wouldn't they make an awesome gift, packaged in a box with a clear window, for the bake sale? 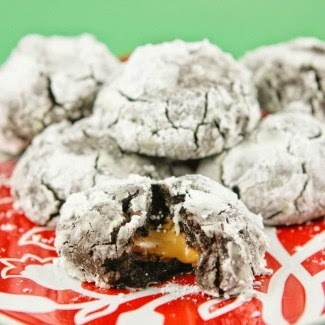 Get the recipe: Caramel Chocolate Crinkles.